Quick memo about how the 2013 “partial Government shutdown” will affect those trying to get a mortgage right now. The short answer is: government shutdown = mortgage shutdown. I have a few clients who have their loan files getting their final docs to the title company for signing and funding. THOSE loans will fund as planned. HOWEVER- my clients who are in the earlier stages of the mortgage approval process are not going to be so lucky. The thing that is going to HALT EVERY LOAN in early process is the need for a tax document called the 4506-T. Fannie mae, Freddie Mac, Ginnie Mae, FHA, VA, USDA, they all require this document. Not to mention those last 3 loans require a different type of Government mortgage insurance. 4506-T (which are income tax transcripts)- will NOT be available during the shut down apparently. All loans: Tax transcripts and VOE’s will still be required on all loans. 4506T’s can be ordered, but there is no one at the IRS to process them. Any delays caused by the shutdown that affect the ability to get these conditions met will have to wait until those conditions can be met. SSN verifications can be ordered, but at this time it appears that the results are at the very least going to be delayed past the normal 10-15 minute turn times they usually run by. USDA: The offices will remain closed until the government shutdown is complete. Submission of loan packages to RH is suspended since nobody will be there to accept them. Any loans currently at RH for conditional commitments will be delayed until the shutdown ends. All USDA websites, including GUS and look up sites for property/income qualification, will be unavailable during the government shutdown. You will be able to obtain a new FHA case number from the FHA Connection. CAIVRS will be available to determine if a borrower has a delinquent federal debt. FHA Total Scorecard will be available, and loans can fund during this time, provided all normal underwriting and processing requirements are met. Automated password resets will be available for FHA Connection, but resets that require an FHA employee’s direct assistance will not be available. Any scenarios where VA needs to be contacted will not be available until the shutdown ends. As more information becomes available we will pass it along to you as quickly as possible. Hopefully this Shutdown ends this week sometime!! Dang Congress!!! 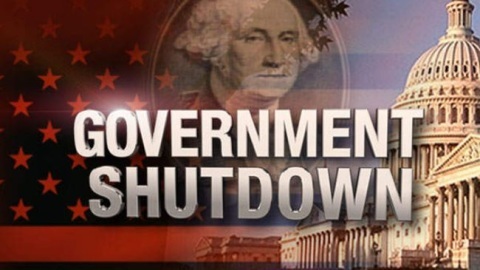 To read more on how the government shutdown affects mortgages click here. This entry was posted in Blind Spot 2: Increasing Fiscal Literacy, Uncategorized and tagged Government actions, Mortgages, Portland Real Estate, Refinancing. Bookmark the permalink.